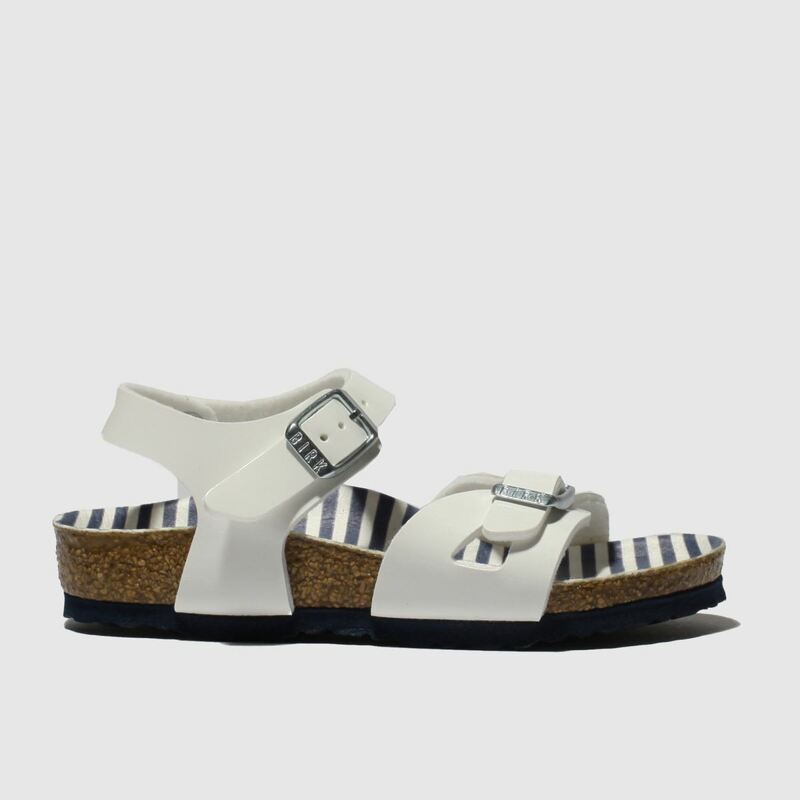 Offering your little one some serious summer holiday vibes, the Birkenstock Rio arrives at schuh. 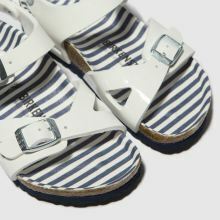 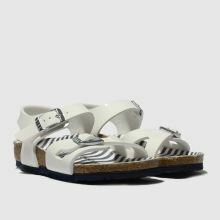 This man-made kids' sandal features white buckled foot and ankle straps with a seaside-inspired white and navy striped footbed. 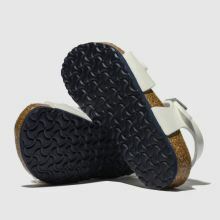 A cork midsole completes.